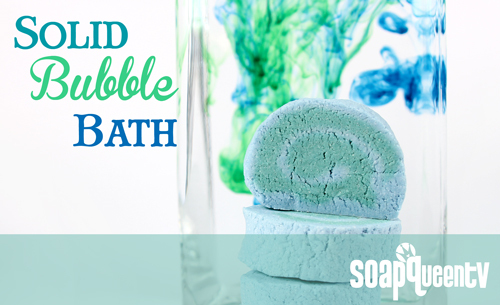 Who doesn’t love soaking in a warm bubble bath? It’s one of my favorite ways to relax after a long, stressful day. 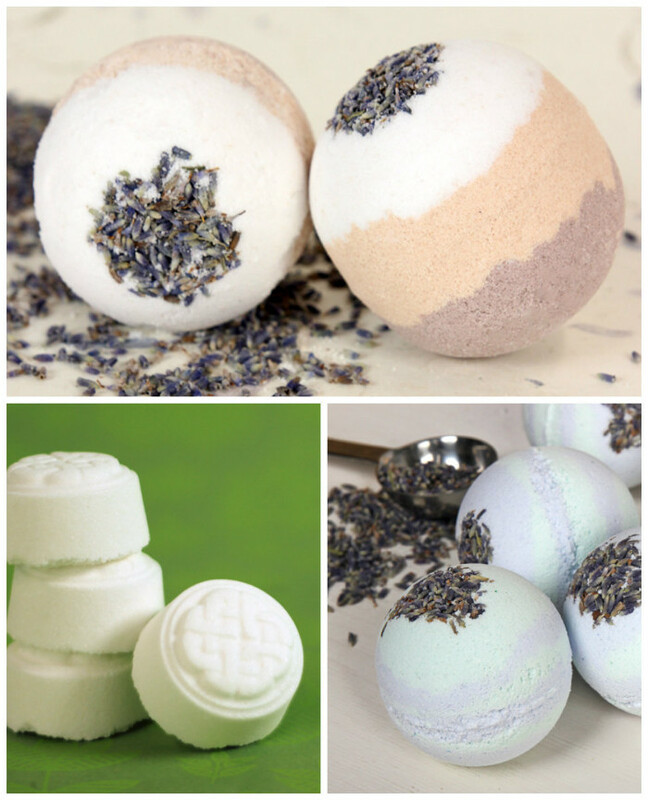 In the quest for the perfect bubble bath, I spent more than a year developing a great solid bubble bath recipe. I was inspired by so many great recipes and tutorials, and this video by Good Earth Spa in particular was incredibly helpful. 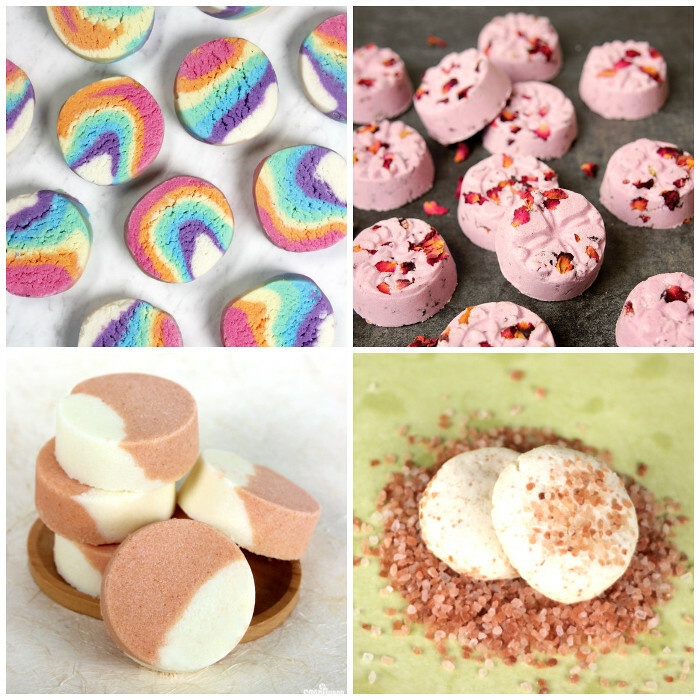 These LoveSpell Bubble Bars are made with that very recipe, which is a combination of glycerin, castor oil and an array of dry ingredients. 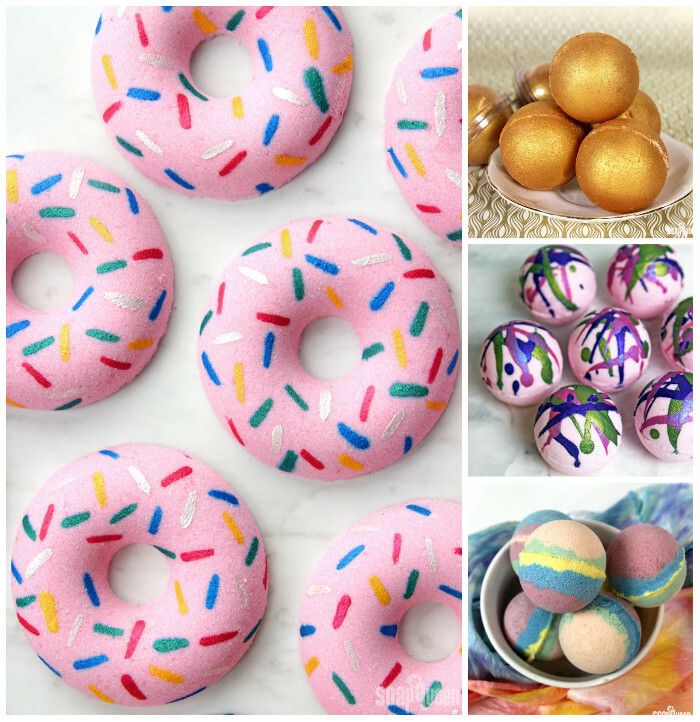 When combined they create a dough-like texture that you can roll and cut. 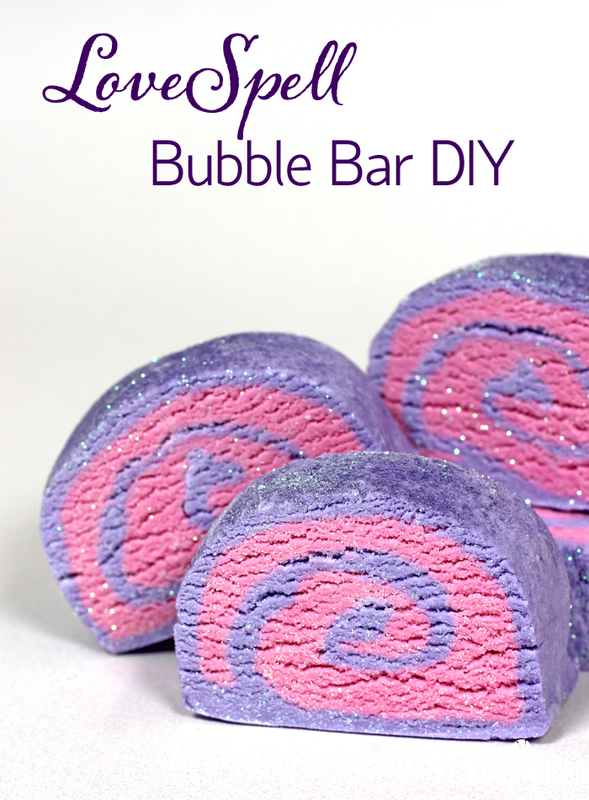 The bars harden in about a week, and can be crumbled into your bath tub. 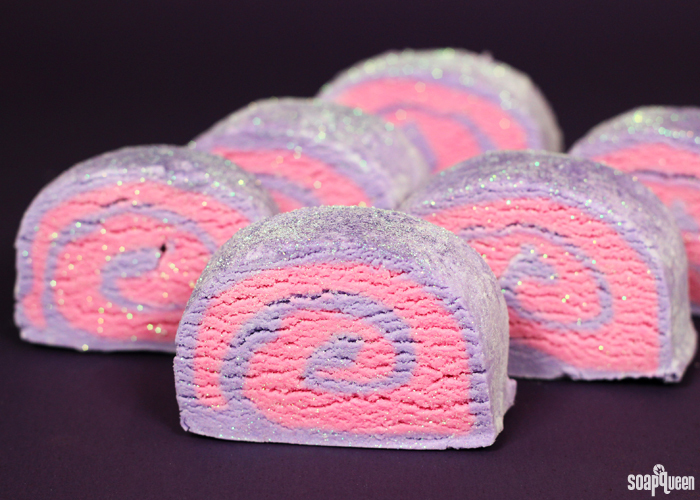 These LoveSpell Bubble Bars are super girly and fun. I used Eastern Purple and Pinkberry Sherbert LabColor for a wonderfully feminine color scheme. LoveSpell (Type) Fragrance Oil features notes of apple blossom, white musk and Italian bergamot. It smells wonderful. A heavy sprinkle of Lavender Mica and Fine Iridescent Glitter brings the wow factor. They would make wonderful Valentine’s Day gifts! 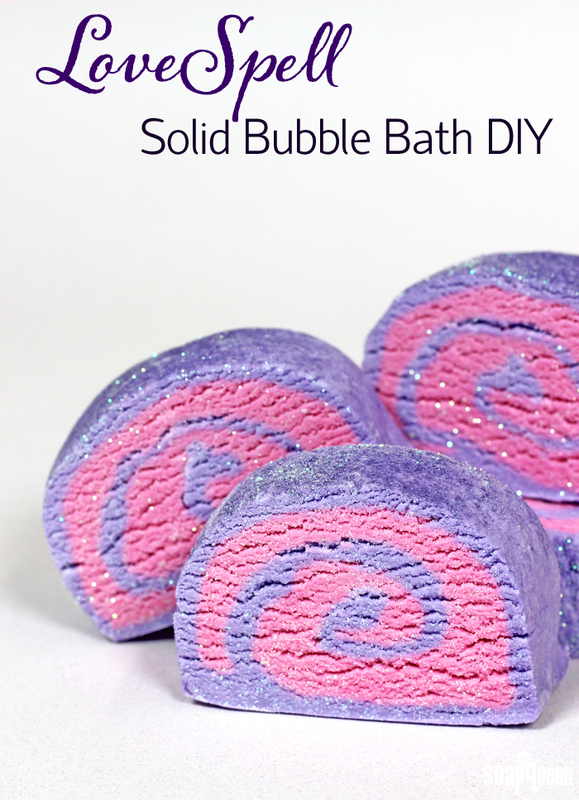 If you have never made solid bubble bath before, I would highly recommend watching the Soap Queen TV video below. They are a little bit tricky. The dough is rather sticky and does take a gentle hand to roll evenly without tearing. If you have ever rolled sushi or a jelly roll cake, that experience will come in handy for this project! In the video below, I use a different color scheme and fragrance for a totally different feel. Feel free to add your choice of LabColor and skin-safe fragrance oil to create your own custom project. I don’t recommend making substitutions for the dry and wet ingredients in this recipe. It took a very long time to formulate, and replacing ingredients can greatly affect the texture of the dough or the bubbles.